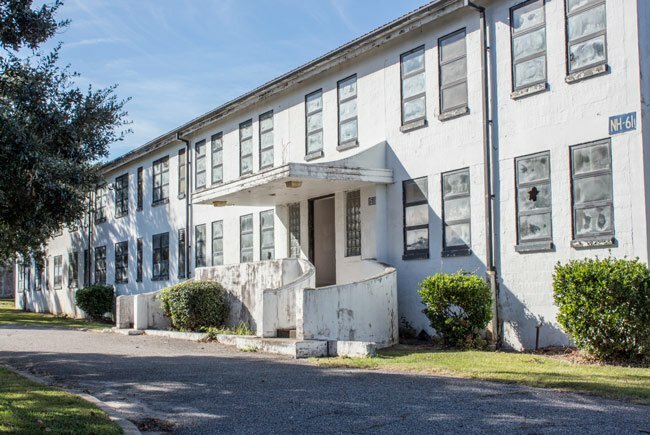 Like many buildings on the former Charleston Navy Base, the Charleston Naval Hospital structures along the Cooper River have sat abandoned since the base closed in 1996. 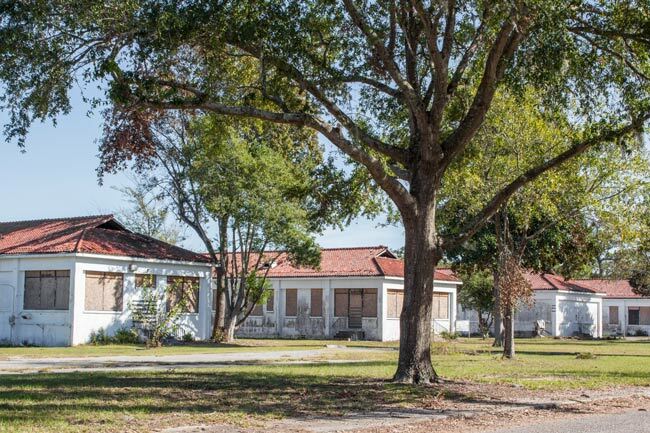 While the Charleston Navy Base was developed on the site of the former Chicora Park in present-day North Charleston in 1901, the hospital buildings seen below were added in the 1940s in response to World War II. However, two residential buildings and a warehouse date from World War I. Prior to World War II, medical attention was mostly administered in tents, located near the site where the hospital district was eventually built. Many of the naval hospital buildings dating from the 1940s bear the same Spanish Colonial style of concrete block covered with terracotta tiles. Pictured above and below is the hospital’s administrative building, which was constructed between 1940 and 1942. “Eyebrow” dormers once adorned the roof where patches of missing tile now appear. The administrative building once housed offices, a board room, a medical library, a pharmacy, and a chapel. The structure below is the Sick Officers’ Quarters. 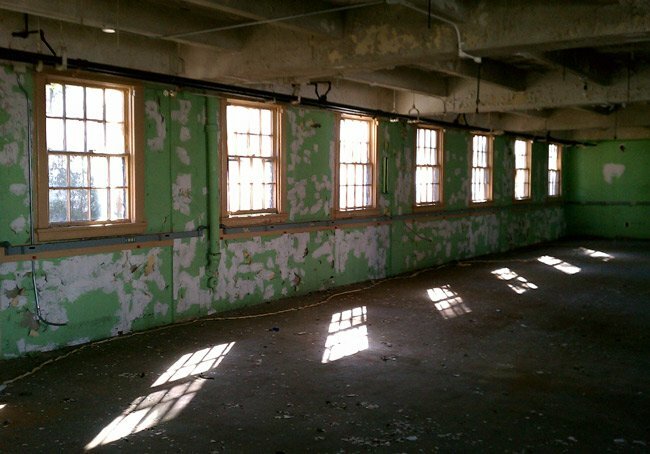 Also built between 1940 and 1942, it separated sick officers from enlisted sailors. The Sick Officers’ Annex was completed in 1945. 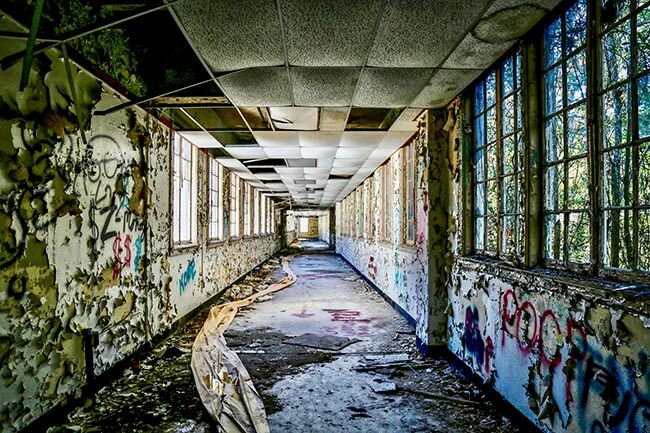 The Neuro-Psychiatric Ward seen below was built at the same time as the above structures and shares similar features. 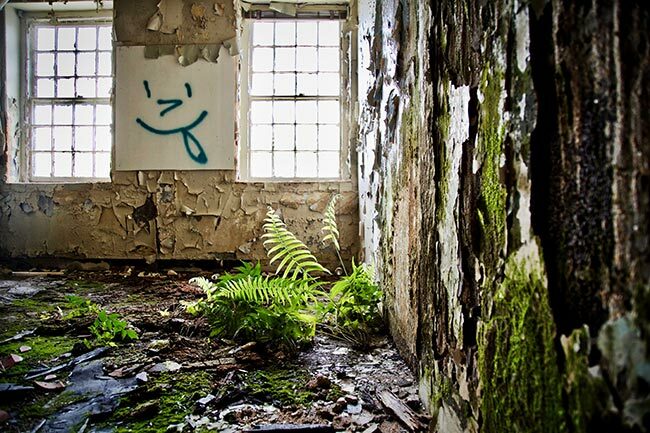 It, like the Sick Officers’ Quarters, is one of eight treatment wings that surround a central courtyard. Below is the Surgical Ward and Emergency Ward. 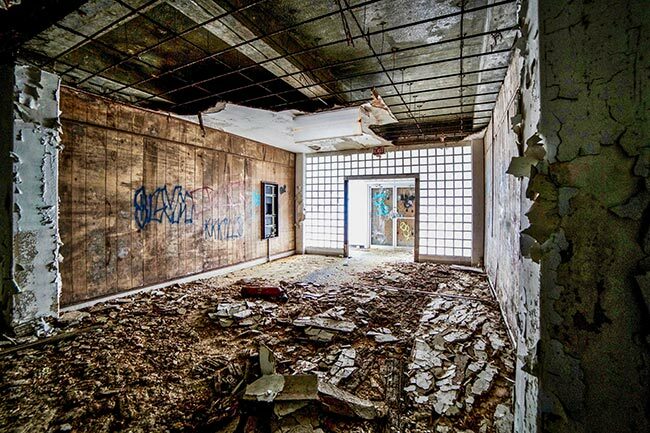 The lower level of this building was designed to receive ambulances and contained an emergency room. It was also built in 1940. Dependents of military personnel were housed in the Dependents’ Ward, pictured below. The building clearly matches the others in style. An original elevator shaft remains on the northwest side of the building. The Nurses’ Quarters, seen below, was built between 1941 and 1942. The two-story building is similar in style to those in the hospital district, though a 1943 addition was built of wood and covered with siding; the addition was demolished in the 1990s. 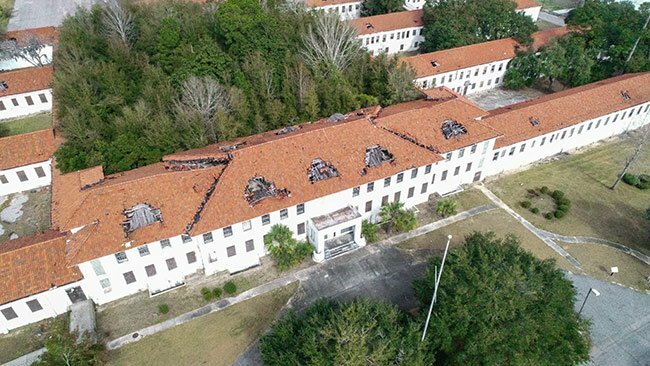 A total of 32 buildings occupy the Charleston Naval Hospital District, including treatment facilities, residential quarters, and support buildings. Most were built quickly due to the urgency of a looming war – and not necessarily with longevity in mind. The hospital here operated until 1972 when a new hospital opened on Rivers Avenue. The below photo shows that building in the construction process. 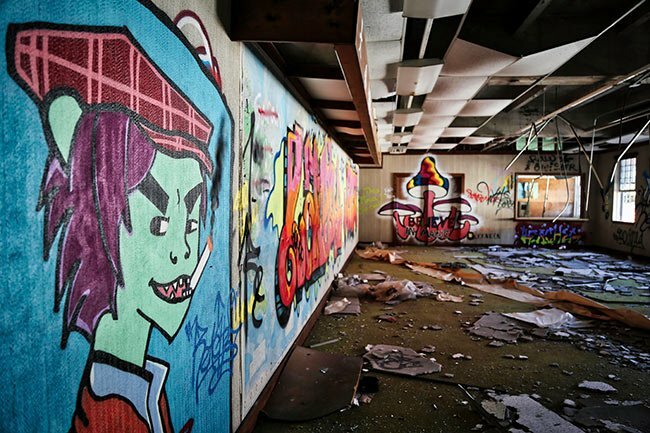 After the base closed in 1996, much of the base property was sold to the Noisette Company for redevelopment. 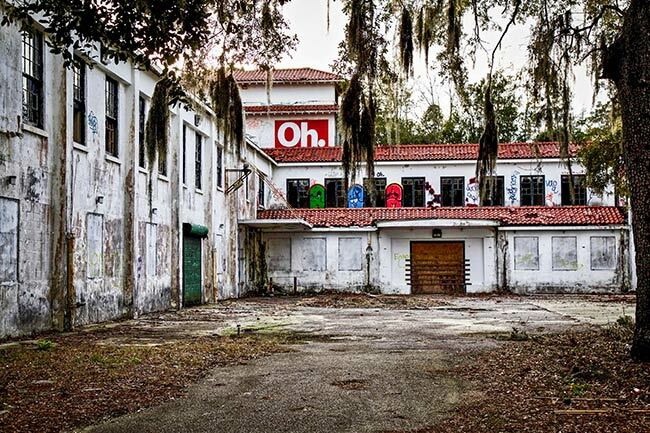 The Noisette project never materialized, however, and in 2013 Palmetto Railways – a division of the S.C. Department of Commerce – purchased the land. 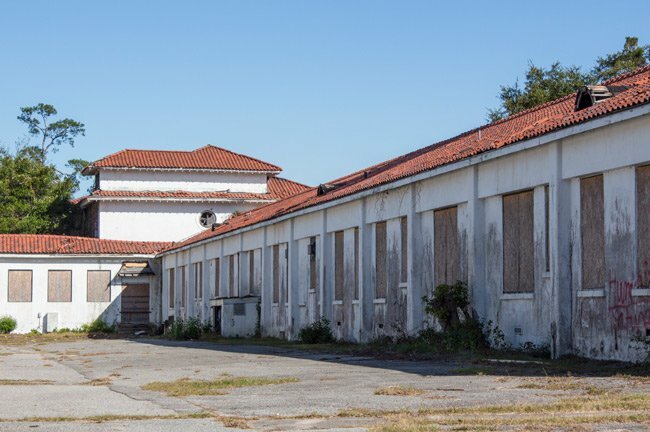 Plans have been made to run a rail line within 100 feet of the main building in order to serve a new State Ports Authority container terminal. The railway would require the demolition of several hospital district buildings. 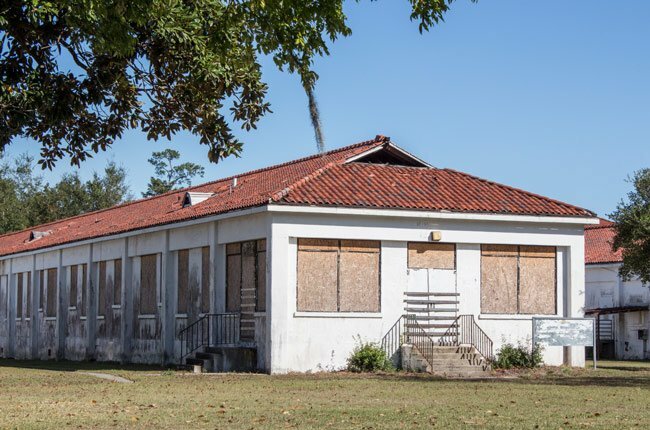 Because the buildings are listed in the National Register, a mitigation plan is being explored to accommodate the railway while attempting to minimize the impact of the line on the district. 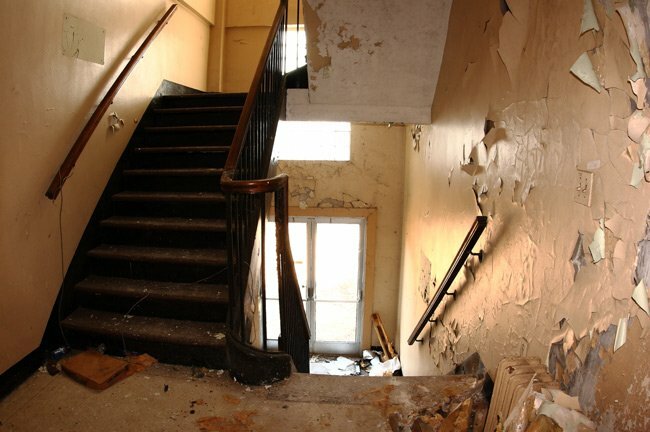 However, the buildings are in poor condition, and developers claim that restoring the structures is cost-prohibitive. 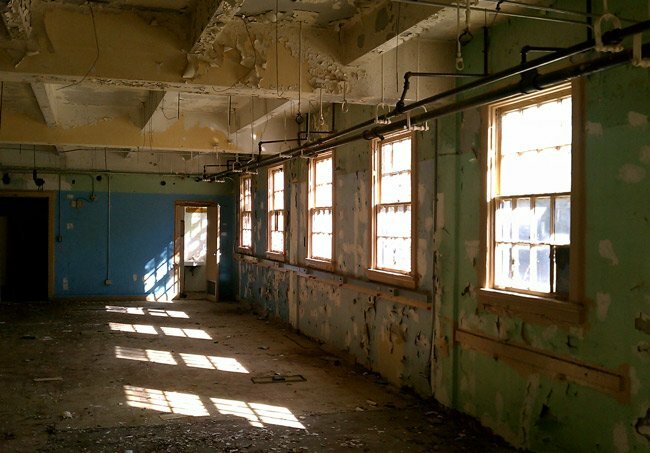 To draw attention to the potential loss of the hospital buildings, the National Trust for Historic Preservation named the district among its Top 11 Most Endangered Places in October of 2016. A permit from the Army Corps of Engineers is required before the rail line can proceed, and the historical value of the district must be considered before a permit is issued. 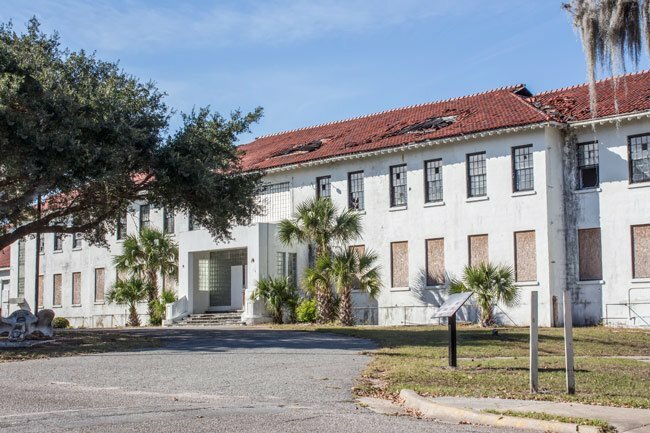 To date, the future of the Charleston Naval Hospital District is unknown. 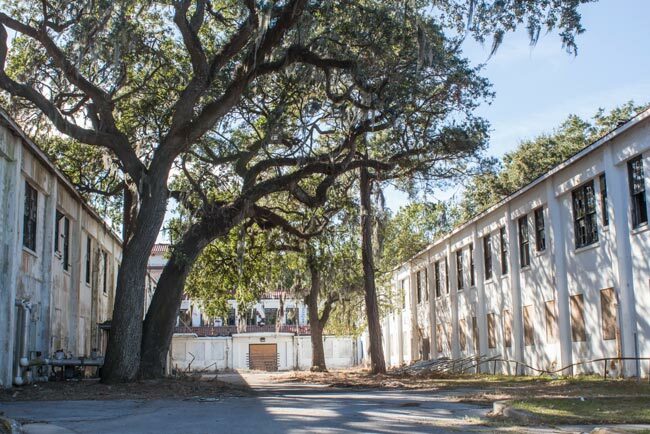 As of 2019, the Charleston Naval Hospital District sits largely untouched and has decayed further. No plans have been publicly announced for the future of the buildings. 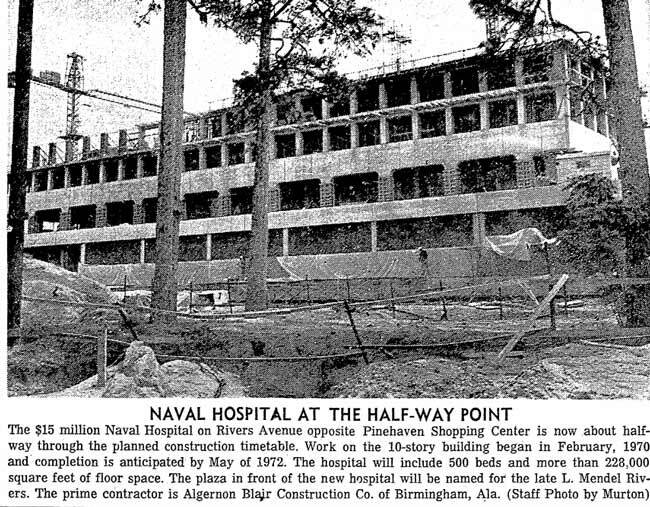 The Charleston Naval Hospital Historic District is nationally significant as an example of the United States effort to mobilize medical support for the Navy during World Wars I and II and the Navy’s ability to create a permanent and professional medical service for Navy personnel and their dependents. These healthcare facilities were placed at the Charleston Navy Base and planned in a manner consistent with military protocol to organize medical treatment, support services, and residential units. 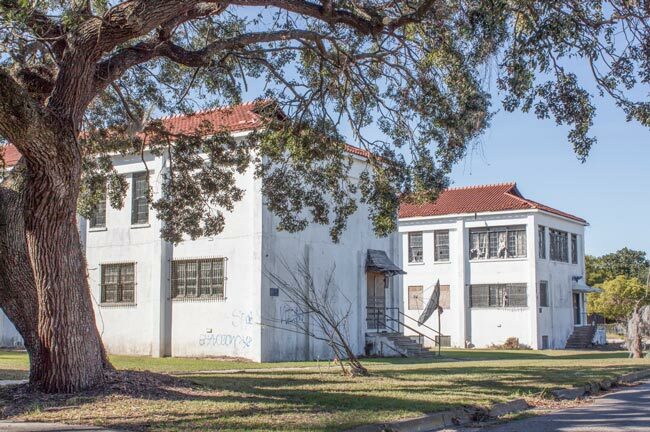 The district is also architecturally significant for buildings and structures that reflect the time periods in which they were constructed corresponding to large building periods at the Charleston Navy Base during the First and Second World Wars. The majority of buildings have a unifying architectural language which incorporates both Spanish Colonial and Mission style forms with Modern details and materials. Two residential buildings and support structures date from the First World War and exhibit Craftsmen Bungalow features. 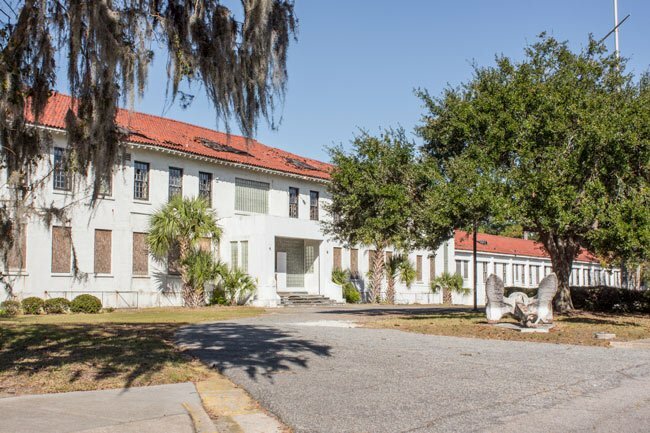 The Charleston Naval Hospital Historic District is an intact collection of thirty-two buildings located in the northwest corner of the former Charleston Navy Base. There are three groups of buildings that comprise the District: treatment facilities centered on the main hospital complex, service related buildings located to the east of the main hospital, and residential buildings largely located to the west and south of the hospital. The earliest extant structures in the district date from 1917 during construction of hospital facilities to serve an increased labor force at the base during World War I. The large majority of the historic resources in the district date from World War II when the first permanent hospital facilities were constructed at the base. Very interested in my home town & The Naval Hospital. And, to learn of the new base! 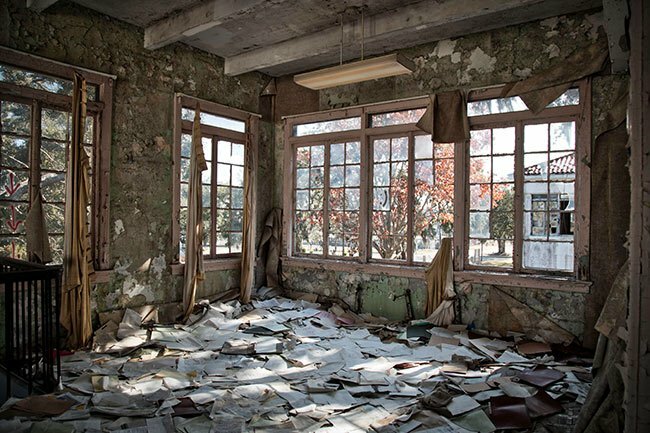 It is so sad to see the naval hospital in ruins. I served at the hospital from 1966 to 1970 in the orthopedic clinic. Many fond memories there. 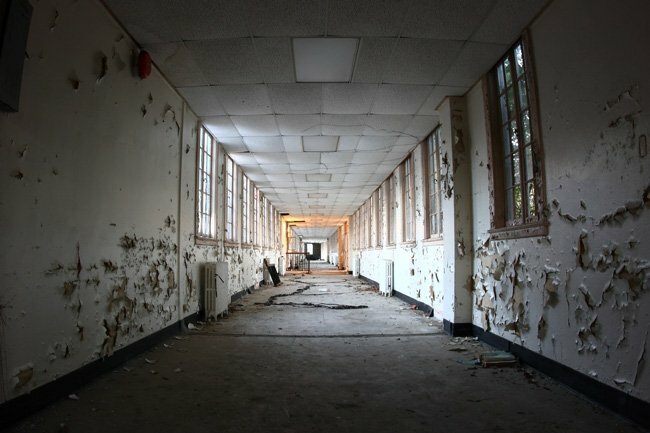 Was this the building right next to the hospital? Do you have any pictures of the Navy clinic? I worked there briefly in 1963 and it had just been recently been built. Would like to see pictures if you have them. Thanks.